The DoA Director General Monther Jamhawi said that the codices are a kind of “professional” forgery that was executed skillfully. The department formed a committee of researchers and epigraphists, who examined the books and confirmed that they were not authentic. 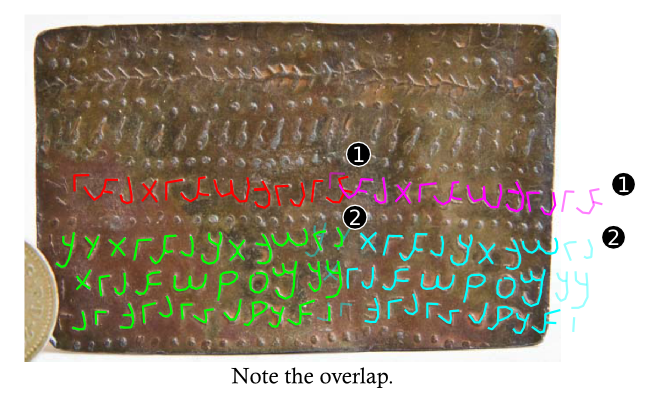 In its report, the taskforce concluded that the examination from an archaeological point of view proved that the metal books were false and worthless as they contained “irrelevant old letters and images” and that the manufacturer had no background about ancient inscriptions and their technical details or religious significance.